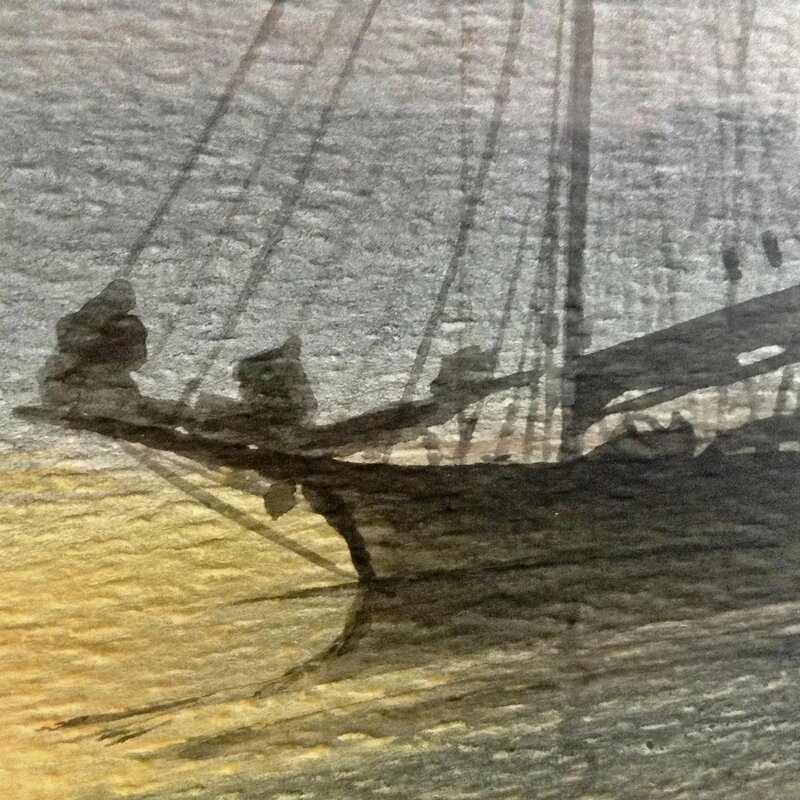 The black silhouettes of sailing vessels moored in a colorful sunset. 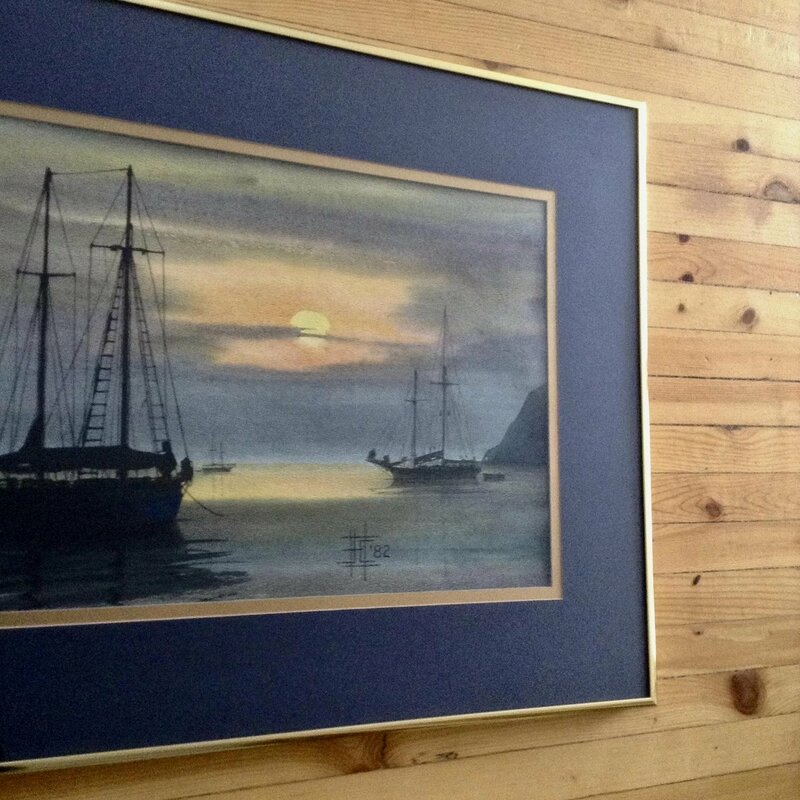 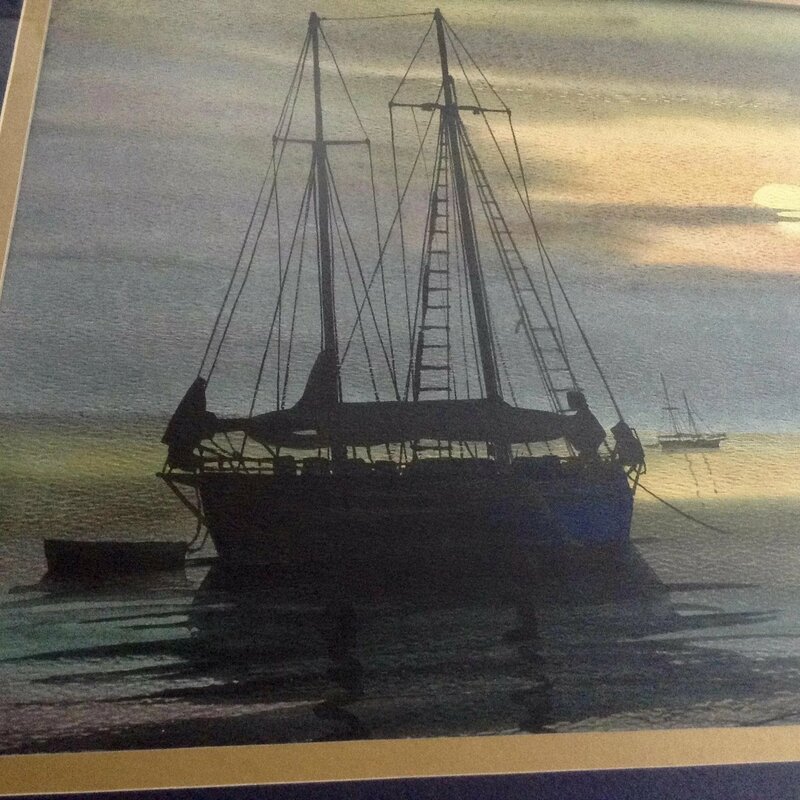 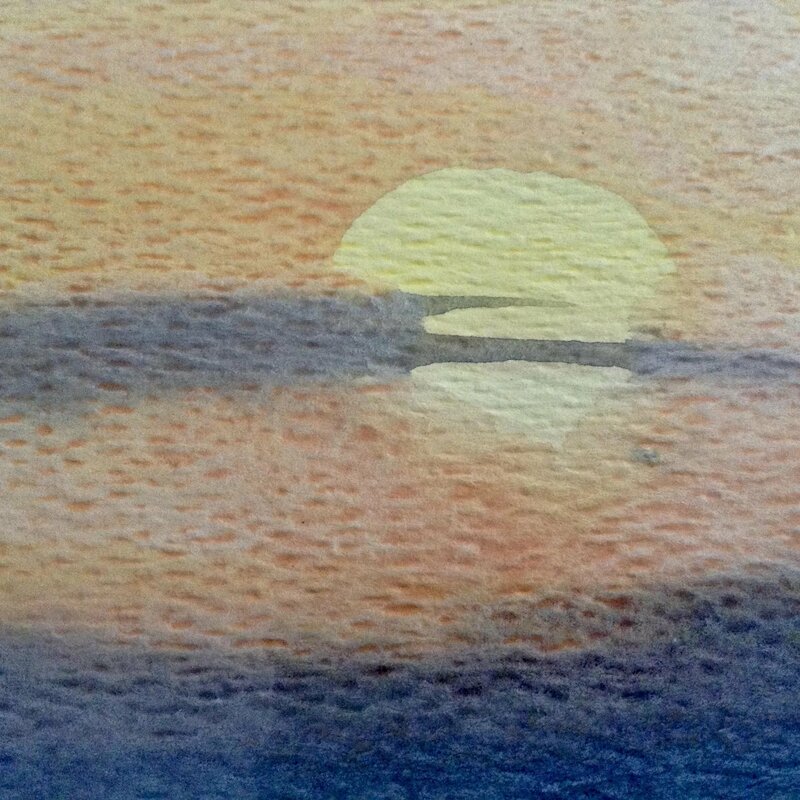 This original watercolor painting is singed by artist, JHC ’82. 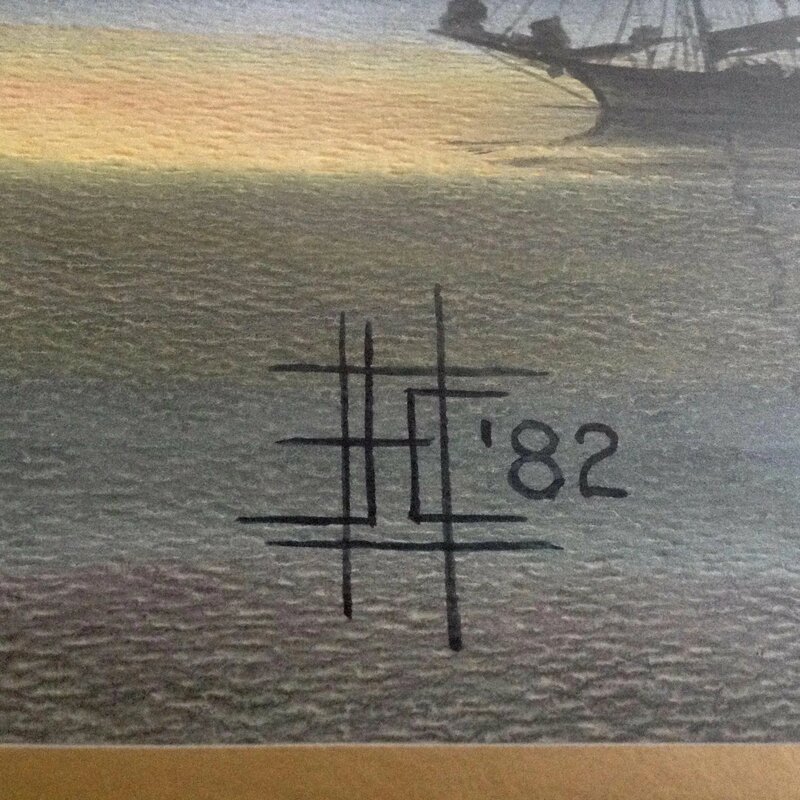 Also signed on the verso, J Harold Campbell. 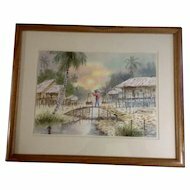 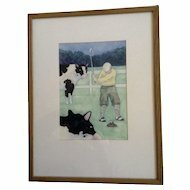 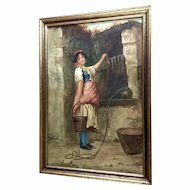 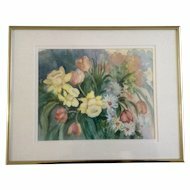 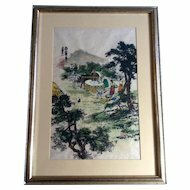 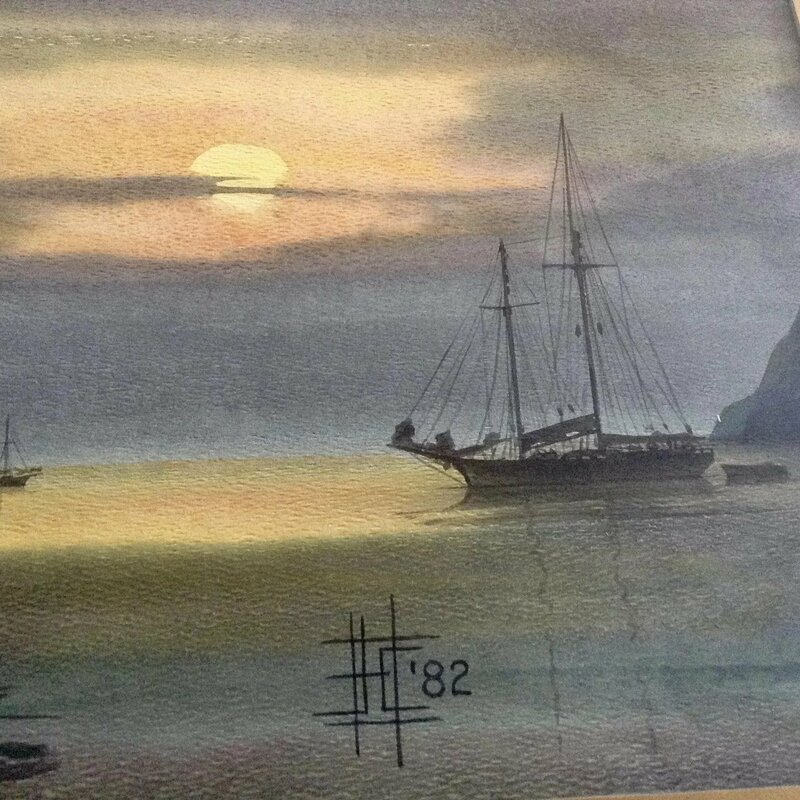 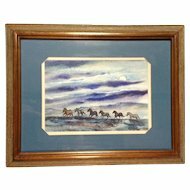 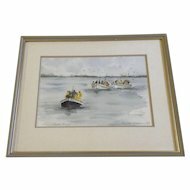 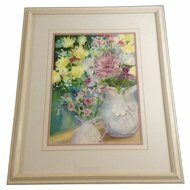 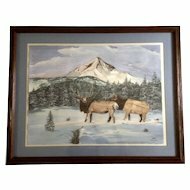 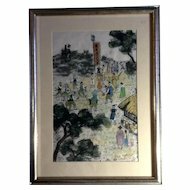 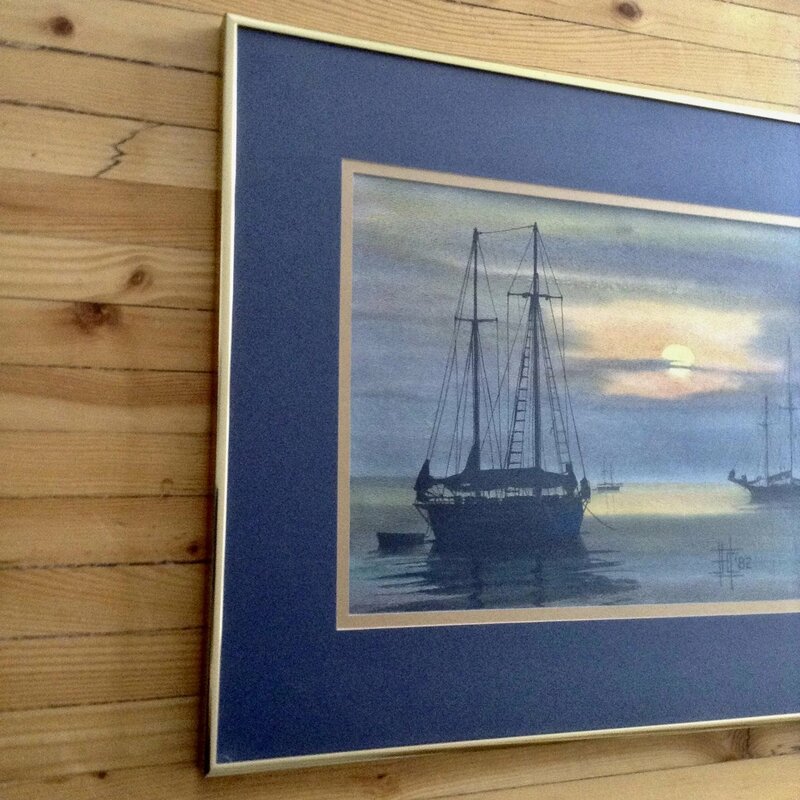 This watercolor painting on artist paper is in great condition with no water damage, holes or tears. 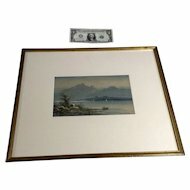 Inside the mat the painting measures 11-1/4 inches tall and 17-1/4 inches wide. 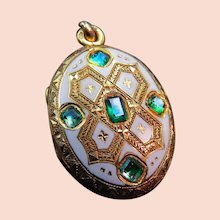 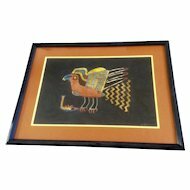 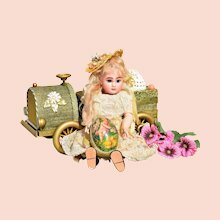 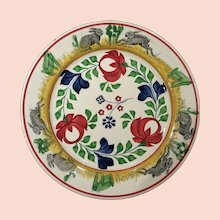 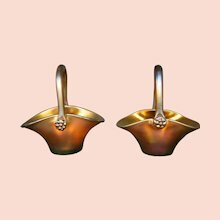 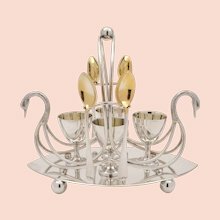 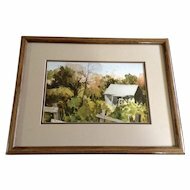 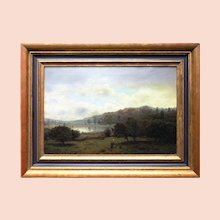 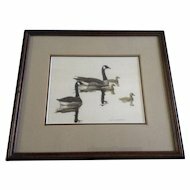 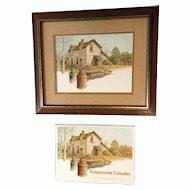 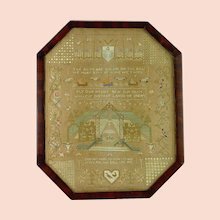 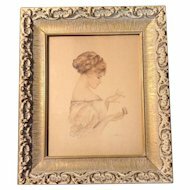 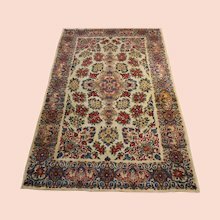 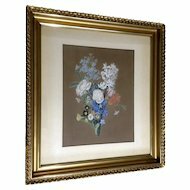 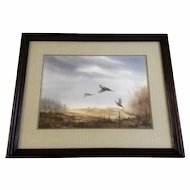 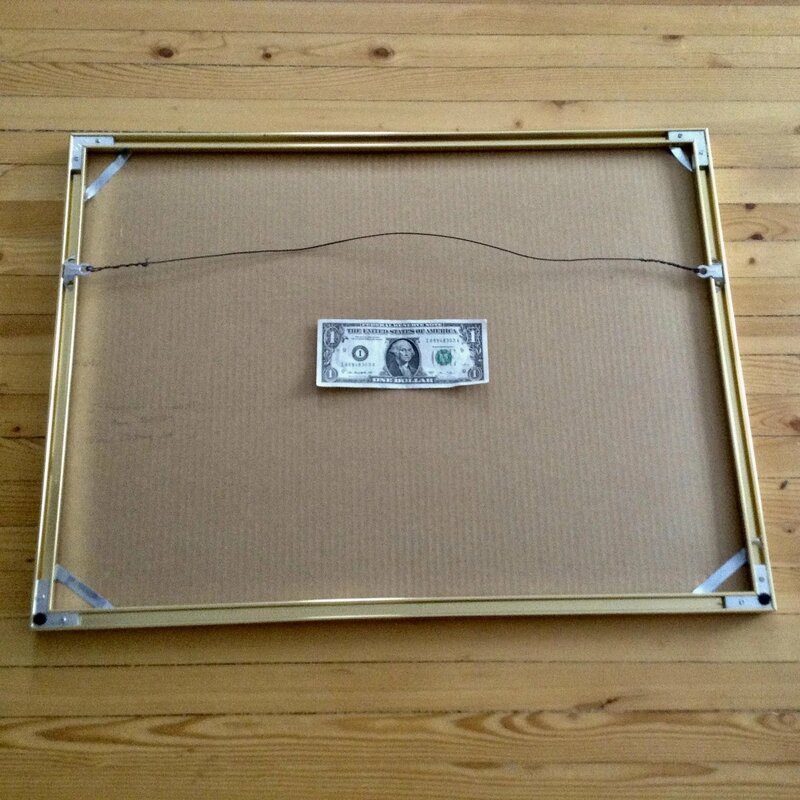 Set in a metal gold frame that measures 18-1/4 inches tall and 24-1/4 inches wide.